In today’s modern age, more and more couples are turning to wedding websites as a practical way of communicating with guests. The purpose of a wedding website is to provide all of the necessary information and finer details in the lead up to your day. But that doesn’t mean it has to be boring! Although the logistical details are important, your wedding website is about so much more than just the bare bones. It’s your opportunity to showcase your personality, set the tone for the event and build excitement for the day to come. So with that said, we wanted to share some unique and creative ideas to help personalise your wedding website and make it truly special! 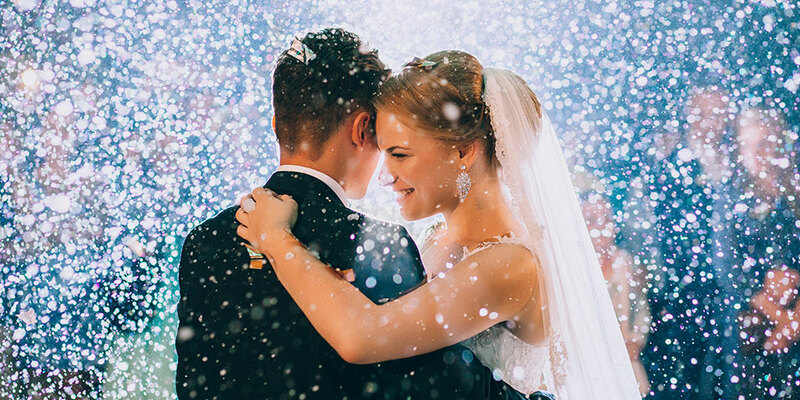 If you’re currently looking for ways to inject some fun into your wedding website, keep reading for 8 of our favourite suggestions to get you started. The design and layout of your wedding website will be the first thing guests notice when they visit your page. Your wedding website theme is your chance to set the tone for your day, so it’s important to choose a unique theme that really compliments your vision! Once you’ve defined your overall wedding style, think about how you can represent this through your wedding website design. 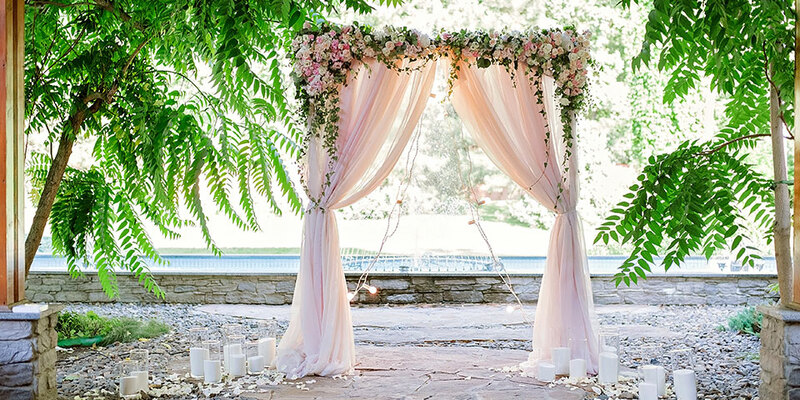 For a romantic garden wedding, you might choose a website theme filled with pastel tones and beautiful floral details. 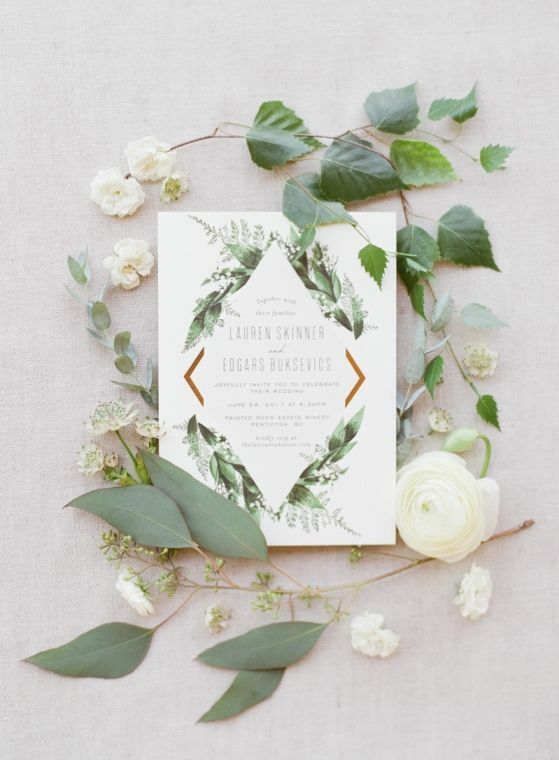 Or for a more chic, high-end event, you could opt for a sleek, minimal design with elegant typography. For a truly personal touch, why not work with your stationery designer to create a custom theme that ties in with your paper elements on the day? This will create a cohesive look from beginning to end, and ensure your wedding website is one-of-a-kind and totally unique to you and your partner. You can view our range of design templates for some examples! Including some nostalgic photos is a great sentimental way to personalise your wedding website. If you and your partner have been together for a while, why not create a ‘Now and Then’ photo album as a fun way to look back on your relationship? Whether you’re high school sweethearts or have been friends since childhood, a Now and Then photo album is the perfect way to reflect on the journey you’ve shared together. Your guests will love the throwback pictures too – especially if there are any fashion faux pas or crazy hairstyles to look back on! If you haven’t already considered an engagement shoot, this can be a great way to get some recent photos of you and your beau. You could get creative with the photo location, props and outfits to really express your personality, and showcase the final result on your wedding website. Sitting down with your partner to write your wedding website ‘About Us’ section can lead to some serious brain-freeze moments. To make it easier (and much more fun! ), why not write your About Us section on behalf of each other? Creating an ‘About Him’ and ‘About Her’ section is a simple but effective way to personalise your wedding website, and also acts as a sweet surprise for your partner! Think about your partner’s funny quirks, what makes them unique, the traits you love the most, and even some facts about them that your guests may not know. Then watch the warm and fuzzy look on their face as they read your heartfelt words! Writing each others ‘About Us’ section will also give your guests some insight into your distinct personalities and the unique relationship you both share. 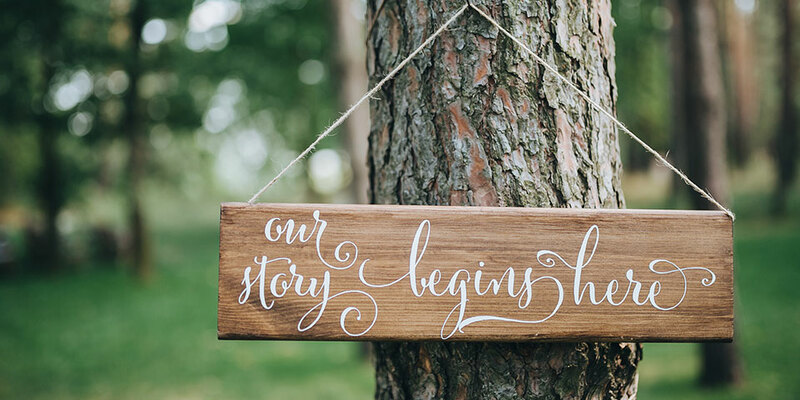 If you’re feeling stuck, we have some great wedding website wording examples to get you started! A catchy, quirky URL is another distinct way to make your wedding website memorable for guests. Your wedding website URL doesn’t have to be traditional – why not get a little creative and think outside the box? For a destination wedding, the location of your event could also be featured in your URL to start building the excitement. A creative URL can be repurposed as your wedding day hashtag, too – which brings us to our next point! A creative wedding hashtag is a great way to get guests involved both before, during and after the big day. So include your personalised hashtag on your wedding website and encourage your guests to get snap-happy! 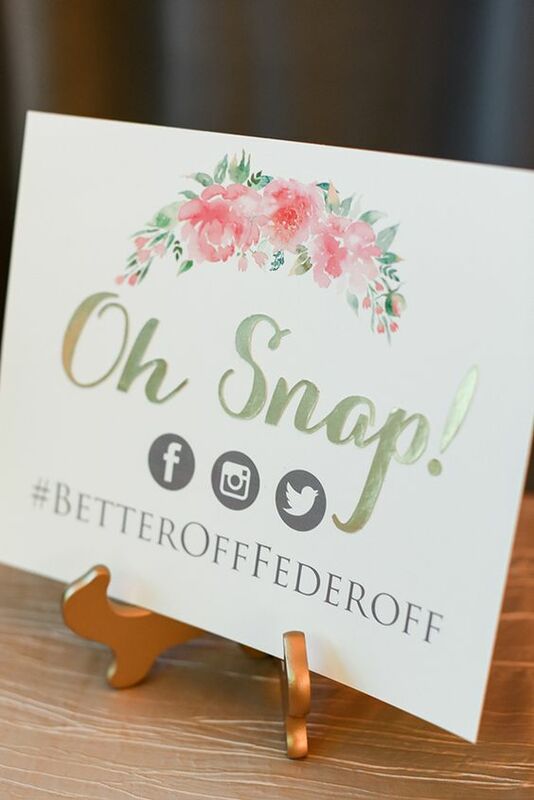 Your hashtag doesn’t need to be reserved until the day itself – you can encourage guests to start using your hashtag at pre-wedding events like hens and bucks nights, bridal showers, rehearsal dinners, or even dress shopping. This will give you a photo journey to look back on, and allow you to reminisce both the big day as well as everything that happened in the lead-up! Just like your URL, your wedding hashtag is an opportunity to get creative and use a fun play on words to make it truly memorable. Sit down with your partner and start brainstorming, or use a wedding hashtag generator online for some ideas to get started. Consider using puns, alliteration or rhyming words to make it truly catchy. The actual wording of your wedding website is another opportunity to showcase your personality, through the tone of voice you use and the content you include. A humorous approach to your wedding website is one great way to create a memorable experience for your guests, so don’t be afraid to utilise your funny bone! You can use humour throughout your wedding website in your About Us section, bridal party bios, and even the photos you choose to display. Think about any funny rituals or traditions you might share, any memories that make you giggle, or any humorous stories about how you met. Keep in mind that your wedding website should be a reflection of your upcoming event. Injecting some fun into your site is the perfect way to set the right tone for your big day! 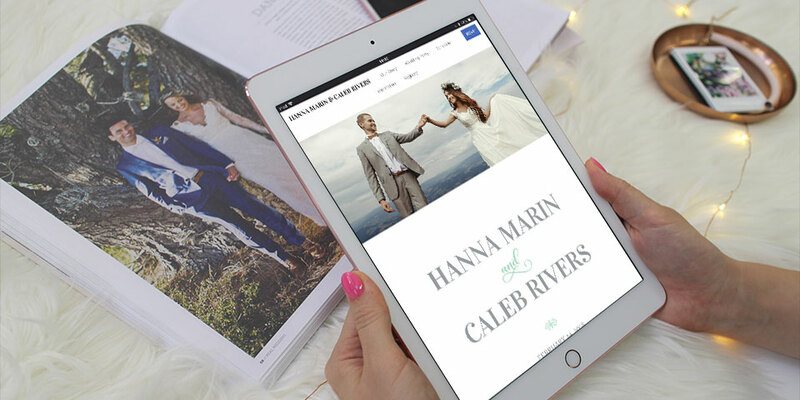 Your wedding website doesn’t have to be a one-sided platform. Why not make it an interactive experience by inviting guests to collaborate? 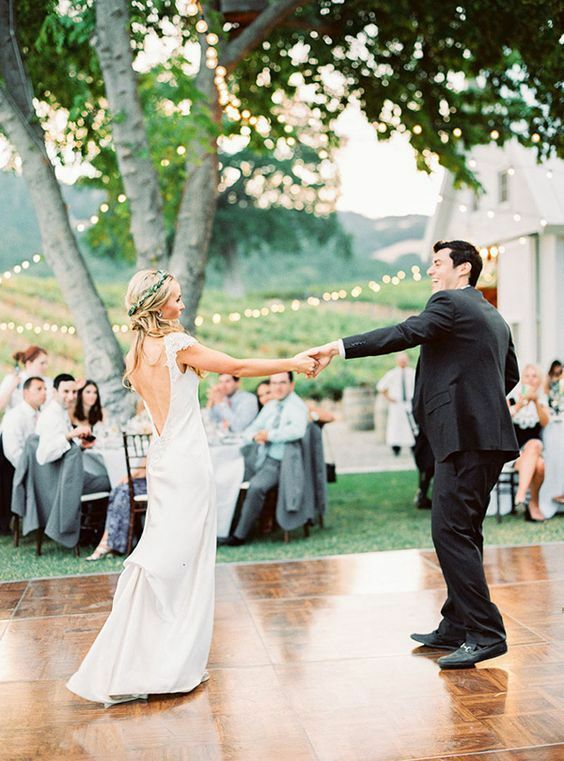 You can use your wedding website to ask guests for song requests to help create your reception playlist. Or, get them to provide questions for any reception games you might have planned like The Shoe Game or Bride and Groom Trivia. Creating a shareable Google doc and linking to it on the website is an easy way to facilitate this, or simply encourage guests to leave a note in your guestbook. Your guests will play a huge role in your wedding day celebrations, so this is a fun way to get them involved in the process! Encouraging guests to collaborate via your wedding website is also a nice way to involve any invitees that are unable to make it on the day. Being able to dedicate a song or include a trivia question will allow them to contribute to your celebration in a small way, even if they can’t be there in person. In order to prepare guests for your big day, you’ll need to provide them with some practical details and logistical information. Digital illustrations are the perfect way to make this practical information fun, personal and completely unique. 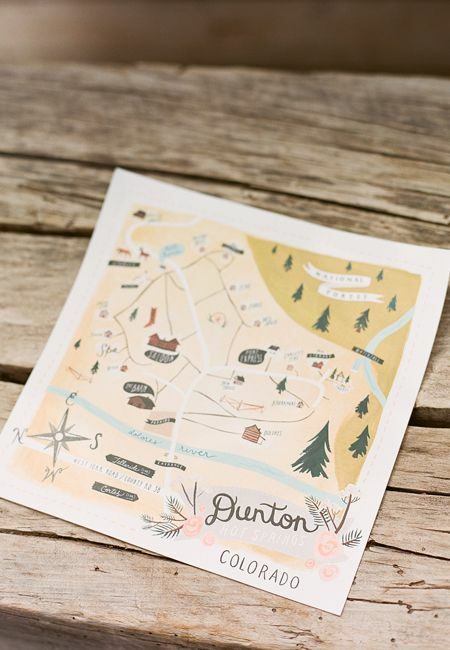 We love the idea of using creative, hand-drawn illustrations for details like your venue map, wedding monogram, and wedding day timeline. Portrait-style illustrations can also be used as a quirky way to represent you both as a couple, along with the special people involved in your day. Your stationery artist may offer this service already, or you can find somebody who specialises in custom wedding illustrations through an online platform like Etsy. Along with displaying the end result on your wedding website, you can keep the illustrations for yourself as a creative keepsake from your day. Although your wedding website should be used to communicate with guests and outline the essential details for your big day, there really are no rules when it comes to presenting this information. This is your chance to let your personalities shine through, so don’t be afraid to think outside the box with your wedding website design and inclusions. If you’re currently in the process of creating your own wedding website, you can check out the customisable designs and wedding planning specific features we have available. Our wedding website platform also includes guest and task management software built with automation tools to make planning a breeze. No two weddings are ever the same, and your wedding website shouldn’t be a carbon copy either. So let your creativity run wild and keep these 8 tips in mind for a personalised wedding website you’ll cherish forever!